EAPN-Fin is a partnership network of organisations, associations and action groups. The aims of EAPN-Fin are to improve the situation of people experiencing poverty and social exclusion, and to promote social rights, basic security, welfare and independent life. 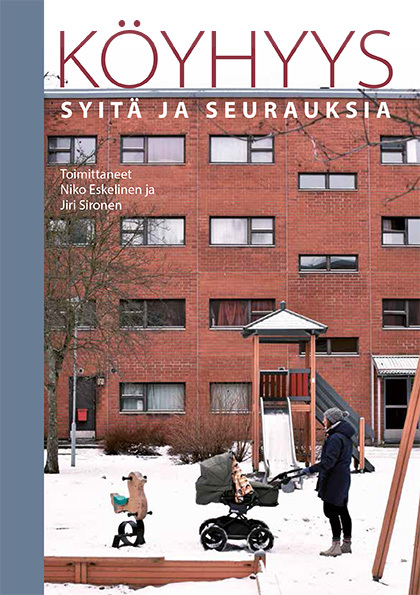 EAPN-Fin strives to get the voices of people experiencing poverty more heard, and to make the causes and effects of poverty more visible and better understood in Finnish society. EAPN-Fin was founded on the 27th October 1994. Today the network consists of 48 member organisations with thousands of members, working mostly around issues such as poverty, public health, unemployment, disability, alcohol and drug policy, social welfare, health policy, child welfare, mental illness and protection of patients at law. 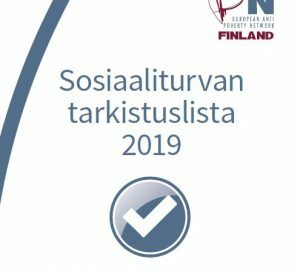 EAPN-Finland is part of The European Anti Poverty Network (EAPN), which is the largest European network of national, regional and local networks, involving anti-poverty NGOs and grassroot groups as well as European Organisations, active in the fight against poverty and social exclusion. It was established in 1990. At present, EAPN Europe is a network of 31 national networks of voluntary organisations and grassroots groups and around 15 European organisations. The membership of EAPN is involved in a variety of activities aimed at combating poverty and social exclusion including, education and training activities, service provision and activities aimed at the participation and empowerment of people experiencing poverty and social exclusion. Together the membership of EAPN aims to put the fight against poverty high on the agenda of the EU and to ensure cooperation at EU level aimed at the eradication of poverty and social exclusion. EAPN has consultative status with the Council of Europe, and is a founding member of the Social Platform (Platform of European Social NGOs).